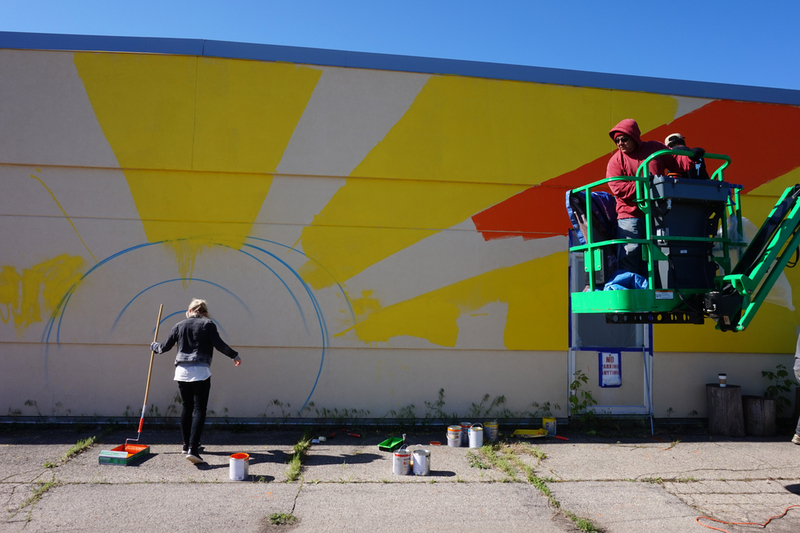 Painting begins at Zion City! 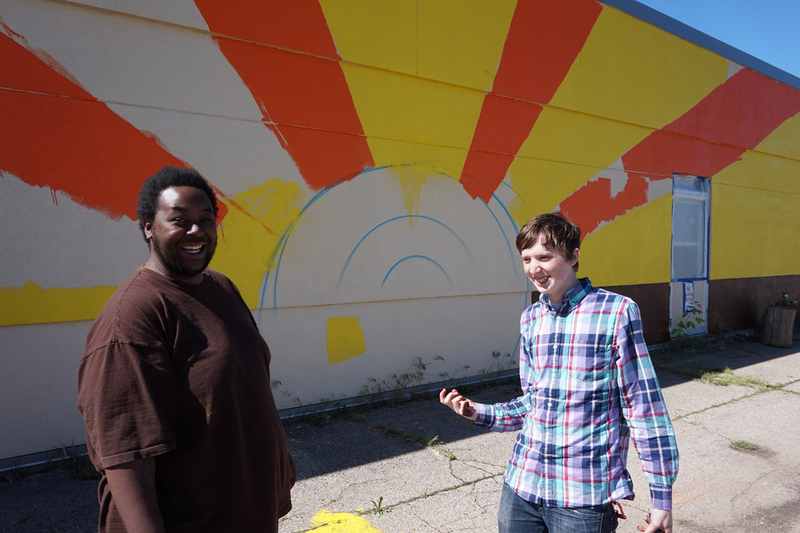 DAMA kicked off the painting of its first mural on May 31 at Zion City Community Outreach Center! 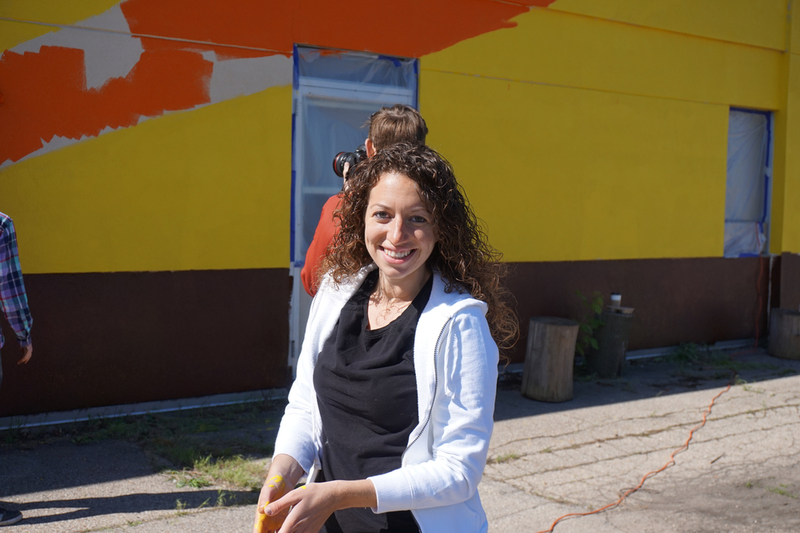 Muralist Lavie Raven came up from Chicago to lead the team and community members joined in to cover Zion City's wall with a vibrant sunburst image. 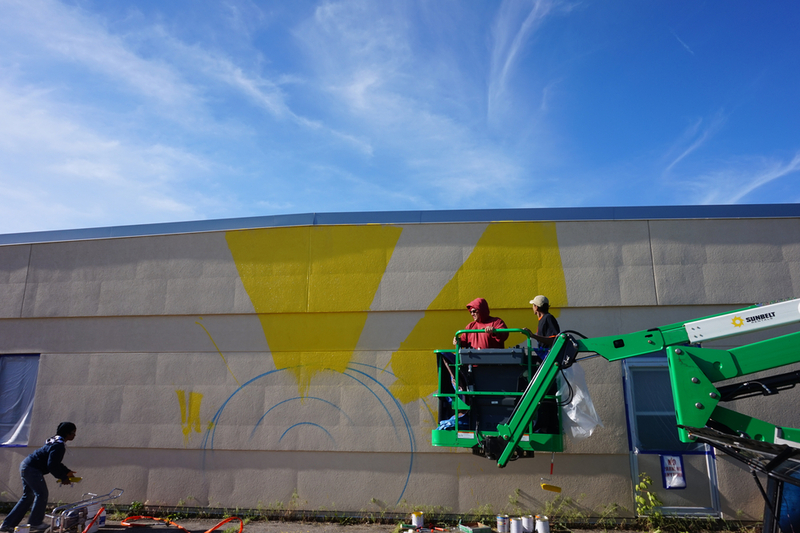 Transforming the plain gray wall into an eye-catching yellow, orange, and blue tableau, DAMA's team of professional, volunteer, and youth artists made major strides in only a half-day of work!